The forecast called for a second night of thunderstorms, but this event was a no-show. Or at least in my part of the woods. 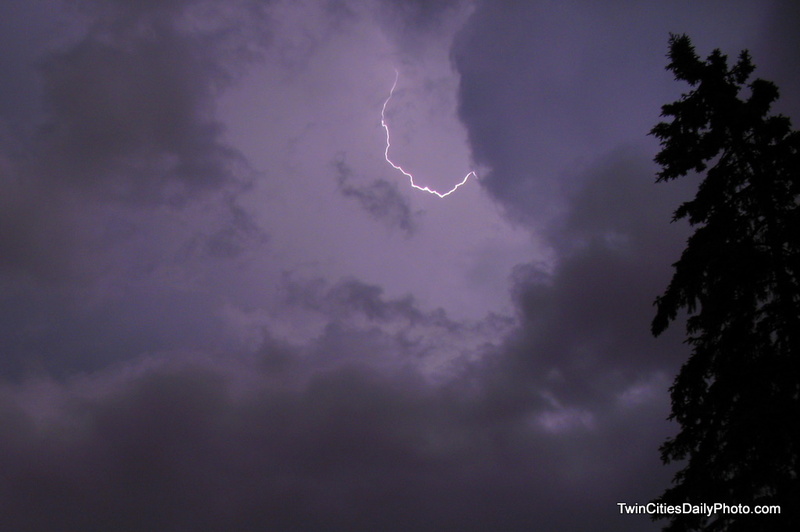 Today's photo is from Wednesday evening storm once again. Nice ones. Them lightning strikes are hard to catch. Thanks for the comment on my blog. After reading I was just about humming 'Raaaasp-berry Beret...' for the next few hours.